FSSAI means food safety and security authority of India. It's an agency under the control of Indian government and ministry of health and family affair. The FSSAI has established under the act of food safety and security act of 2006. It is basically an organisation made for protecting the health of the people. It promotes the health of the public through supervision of this act. The chairperson of the FSSAI is appointed by the central government amongst the persons who are in the field of home science. It is compulsory for all manufacturers, traders, and restaurants to get this certificate. 1. For License: FBO's are required to have a valid personal e-mail ID and Mobile Number which should be kept active. 3. The name of the FBO should be spelt correctly in the application as it appears in the License. 4. On successful submission of application, the system will generate a unique Reference Id for the application. 5. Take a print out of the "Acknowledgment" and "Online Application Form" and attach the Demand Draft for the fee (if payment mode is Demand Draft) and supported documents (Refer Document Checklist) required as part of the application and submit the application to your State Authority or Regional Office of Food Safety and Standards Authority of India, within 15 days from the date of submission of application online. What are the documents required during registration? What are the fees involved for different categories of FBOs? 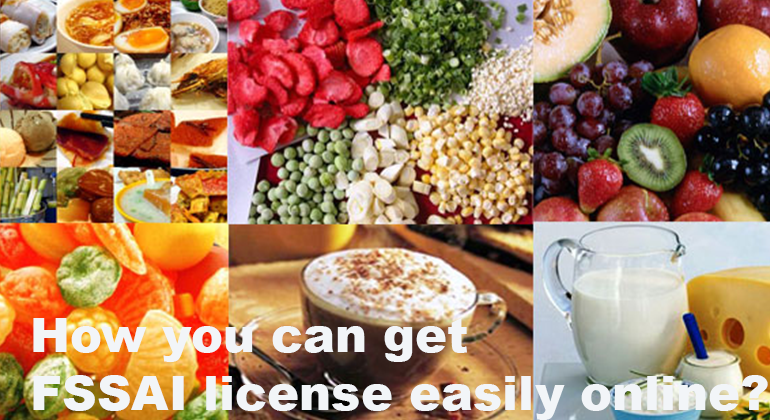 How the entire licensing system works? 1. Application should be submitted to the State Authority/Regional Office of Food Safety and Standards of India, within fifteen days from the date of submission of application online. (i.e.) If date of submission of application online is 18th May 2011, then the last date of submission of application along with fee and supportive documents is on or before 2nd June 2011. 2. Print out of Online Application Form is mandatory as part of the application submitted. Your application will not be accepted and processed without the Online Application Form. 3. For fees and supportive documents required to be submitted as part of the application, please refer to Fee structure and Documents Checklist links provided at login page.